Get ready for the most sonically satisfying library of piano destruction sounds! 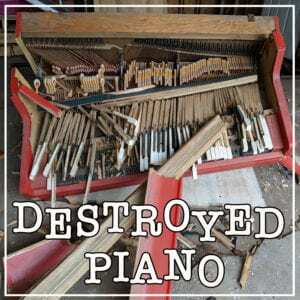 We give you every sledge hammer, every axe hit, every plier pinch, and every grinder that went into the demise of this Wurlitzer Upright Piano. With this truly unique library you get smashes followed by short, medium, and long tails of the strings and body (or what’s left of it) of the piano. You also get out of tune and buzzy strings that can be used as the source material for something really dark and ominous. 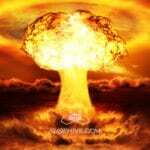 Use the impact sounds for one of a kind impacts or sample the tails to create tension, strange atmospheres, and more!